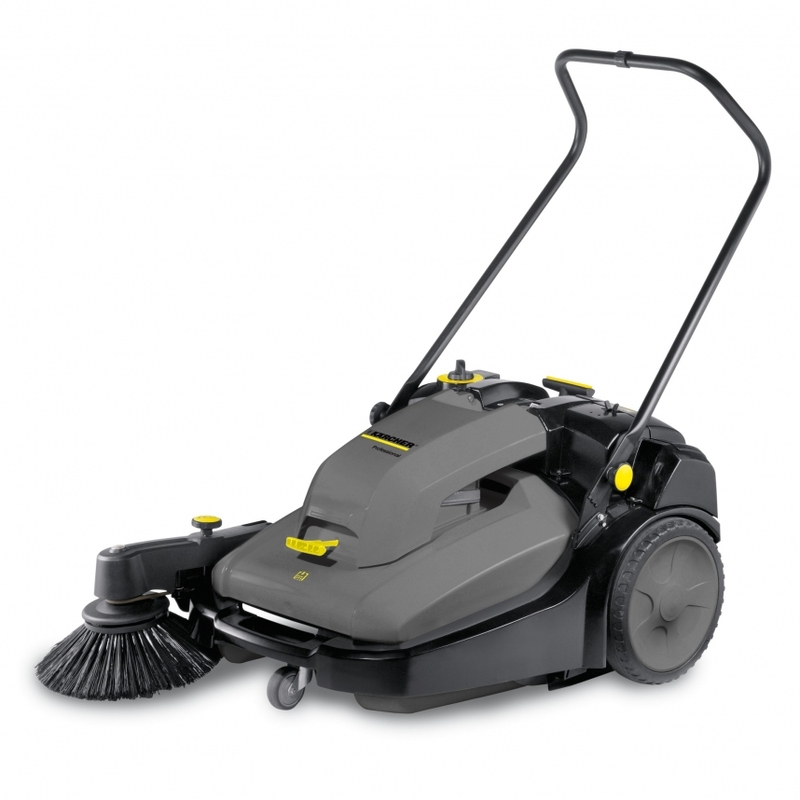 High productivity push sweeper for indoor and outdoor use, with battery-powered roller and side brushes. The KM 70/30 C Bp Adv is based on the popular KM 70/20 and includes all of its outstanding features. The KM 70/30 C BP Adv also features the additional benefits of an electrically powered main roller brush and side brush to make pushing easier and increase productivity. The machine also features an integrated extraction system for dust free applications. The 20 litre hopper is very easy to empty and both main and side brushes are adjustable to suit different surfaces. The machine folds flat for easy storage.